When it comes to your regular dental checkups, many patients are curious about X-rays. Dental X-rays offer your dentist a way to see everything they need to determine the state of your teeth and oral health. However, we understand that patients have concerns about radiation exposure, how often X-rays should be taken, and how X-rays might affect their children (we are a family dentist, after all). 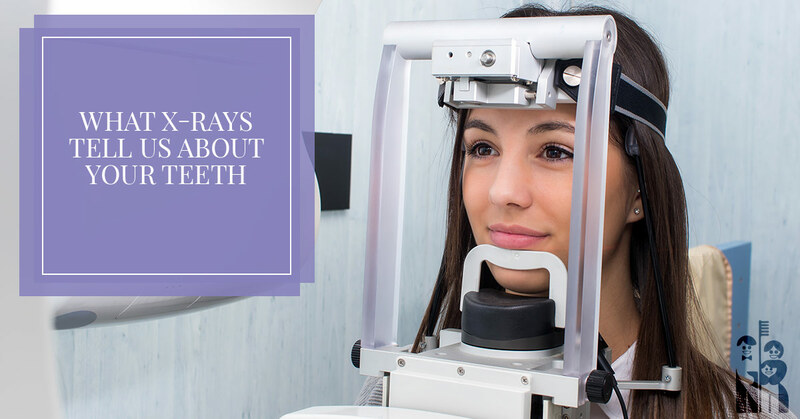 In today’s blog, we’re going to discuss all of this and why X-rays are so important to your oral health. And, of course, if you need to schedule a dental checkup, we’d love to see you! Our Fort Collins dentists can examine your teeth, discuss your dental history, and determine if X-rays will be beneficial. You can schedule an appointment here. Why Do Dentists Use X-Rays? Most of the clues to your oral health are hiding. That is, we cannot look at a healthy-looking tooth and see that the root may be damaged, or that there might be a cavity hiding between the teeth. For this reason, dentists occasionally take X-rays of the teeth when necessary. X-rays can show a dentist if you have any cavities, as well as show them the health of the tooth root, the bone around the teeth, see how developing teeth are growing in, and help diagnose periodontal disease. At Shores Family Dentistry, we are proud to use the latest technology in dentistry, especially when it comes to X-rays. Our Fort Collins dental office uses digital X-rays that make your visit to our office safer and more convenient. Below, we’ve listed a few of the benefits of digital X-rays and why you should take the time to find a dentist who uses them — like us! Digital X-rays use significantly less radiation than their predecessors and have less radiation ‘scatter.’ Because digital X-rays can be taken so quickly and precisely, that lead apron that you wear in the X-ray room is more for precaution and peace of mind than anything else, as the X-rays are targeted right where they need to go. Because digital X-rays use such a small amount of radiation (90% less than traditional X-rays), they are essential for those who need frequent X-rays or for those who simply want to use extra caution at the dentist’s’ office. Digital X-rays are available instantly, meaning there is no wait time between when the image is taken and when the dentist can view it. This also means there is no risk of ruining the film or developing the image wrong, resulting in the need to expose you to radiation again. Unlike traditional X-rays, the resolution and quality of digital X-rays are very high. Your dentist can zoom in, increase the brightness, create more contrast, and do other things to improve their perception and analysis of the X-ray image. Traditional X-rays used harsh chemicals to develop the film. Digital X-rays do not require this process, making them an environmentally-friendly option. There are two main types of dental X-rays that show us different things, intraoral and extraoral. Your dentist may decide that one or both are necessary. Extraoral X-rays (try saying that five times fast!) take images of the jaw and the surrounding areas and is not used for finding cavities. Instead, it can help monitor the growth or degradation of the jawbone, as well as identify oral problems that are radiating from the skull or jaw. Many parents worry about how an X-ray might affect their children. From a child’s point of view, getting an X-ray might be a little scary. They wear a heavy lead apron and need to bite down on a foreign contraption which can be a little uncomfortable for a small mouth. Traditional film X-rays have been proven to be safe to begin with and produce only a small amount of radiation, and our digital X-rays use a tenth of that radiation to achieve a better, quicker, and sharper picture. If radiation is what you are concerned about, studies show that there really is not a significant health threat when the X-rays are taken as-needed by a trained professional. As far as the occasional meltdown we see in the X-ray room, simply remind your kids that X-rays do not hurt, that they are important to see if their teeth are strong and healthy, and that they’ll get to see a super cool image of their teeth afterward. Our Fort Collins dentist office is happy to offer the latest technology when it comes to dental X-rays. We take X-rays when necessary for your oral health, and likely will not take them at every visit unless we are closely monitoring an issue. If you are in need of a dental checkup or dental X-rays in Fort Collins, be sure to schedule an appointment to come see us!